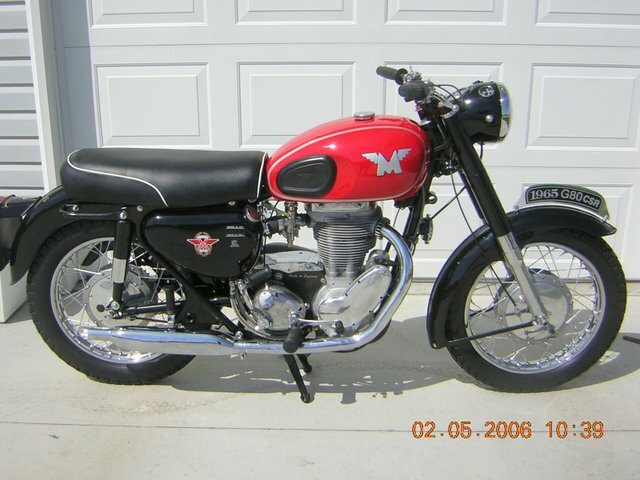 1965 Matchless CSR. 500cc single. Ground up restoration of an ex Rhodesian Police (now Zimbabwe) bike. Only 40 miles on clock. One of a special batch made to their specification by the Plumstead factory in the early sixties. Well-hidden Podtronics regulator with 12 volt conversion. Has both magneto and alternator. Matching numbers. Show or ride this fine example of a big British thumper. Fresh safety, title and Manitoba Vintage plates. 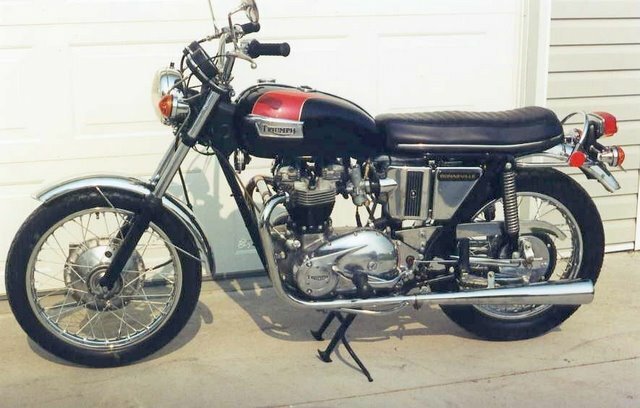 1971 Triumph Bonneville T120. 650cc Twin. One of the last Meriden Bonnies before take-over by the disastrous workers cooperative. Ground up restoration including Boyer electronic ignition and Podtronics rectifier. Large gearbox sprocket to reduce revs. Spin-on oil filter. Quartz headlight bulb. 18280 km. Slipstreamer period windshield. Matching numbers. Ready to show or ride. Title and Manitoba Vintage plates.